Pages 100-103: I rise and make my way up the hillside to the next cross and the next one and the next, repeating my prayers. 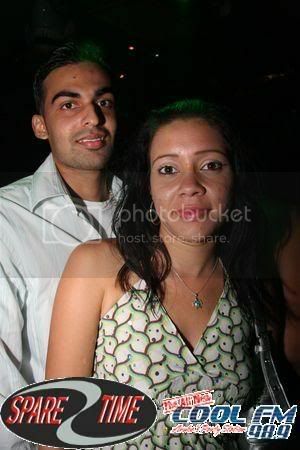 I understand that from the moment she got into Deepak Kalpoe's car her heavenly Father wrapped His loving arms around her and cared for her through whatever ordeal she encountered that night. I don't know if she is alive or not, but I know that He is with her. He entrusted me with her care for eighteen years. Now I must trust Him to care for her. So I never ask Him why. Why Natalee? Why me? I don't ask. To do that undermines faith. Instead, I form an "acceptance trust" with Him there on the windy hillside. God never questioned me when she was in my care. I must not question Him. I realize that He is as proud of her as I am. Thoughts of Natalee's personal relationship with God comes to me. He knows her very well. And she knows Him. Natalee was very active in the Community Ministry for Girls in Mountain Brook all four years throughout high school. The founder and director, Donna Greene, shared a special moment with me just before graduation. Following the very last Bible group meeting about two weeks or so ago Natalee told her friends to go on without her. She was excited and glowing as she told Donna that she knew for certain that she had communicated with God. She knew He had heard her. Donna's first words of support when Natalee went missing were, "She knows how to call on God". In these thoughts I received the blessed assurance from the Creator that rescues me. And I am at peace. The weight is gone. I move to the next cross, making my way on up the hill stopping and praying at all fourteen crosses. The Stations of the Cross. The depiction of the walk Jesus made to His crucifixion. The sun is up as I reach the top of the hill to see the Alto Vista chapel. When I step onto the chapel grounds I am free, Liberated from the pain for a precious few moments. The wind is blowing hard, and I feel Natalee. I talk to her. Promise to find her. Get justice for her. And pledge never to give up. Never. I think about what just happened, pondering the human spirit. Apparently it can withstand a lot more than I every dreamed possible. Mom is right; God is good. All my life I've heard people of many faiths talk about "taking it to the cross and turning it over to the Lord" or just simply "turning it over. Not the work that has to be done. Just the burden. I cast it upon Him so that I may be sustained. And I am renewed, resilient. Thankful for however long this resurgence in energy will carry me. I will pick up one foot and put it down. Then the other one will follow. I will breathe. There is much to be done. It's been nearly three years since Natalee Holloway was abducted on a high school trip to Aruba. Today, her mother shares how she's finally found peace. Aug. 22: Scarborough Country obtains explosive and exclusive new video as one of the three suspects in the disappearance of Natalee Holloway returns to the place she was last seen alive. was, how short it was, just I dropped off two people and I went home." off at the beach, what would he need an attorney or instructions to defend himself for? The judge reasoned Friday that “the new evidence, together with the existing evidence in this case, produce serious grounds for the suspicion of some kind of aiding and abetting, of covering up the traces of a crime committed or of the disposing of a corpse,” prosecutors said. "The Kalpoe brothers were previously jailed in the case, but were rearrested last week and charged with being involved in the "voluntary manslaughter" of Holloway. 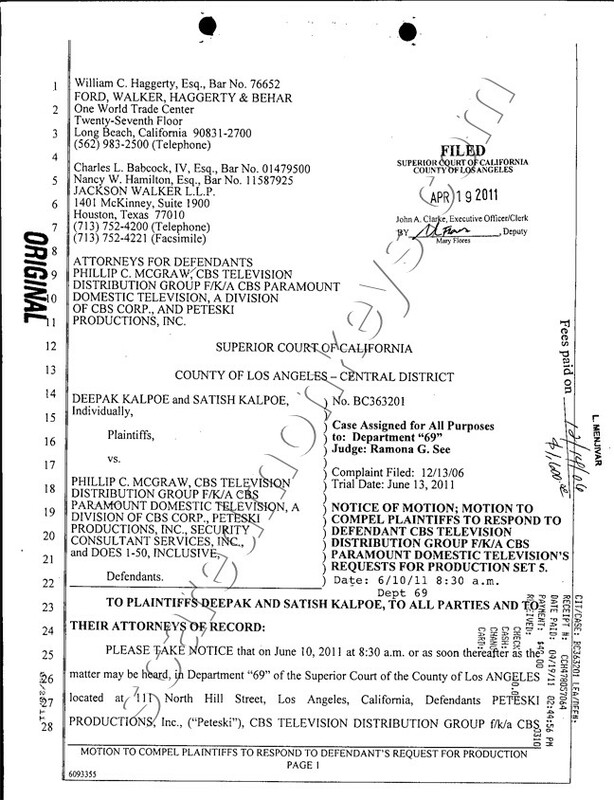 There were some documents available in the Kalpoe vs. Dr. Phil case today. Nothing pertaining the Summary Judgement, only items pertaining the Motion to Compel. I haven't had a chance to look them over yet for good stuff to post but I will hopefully by tonight. Edit to add that I sent them to Kermit for a 2nd set of eyes. 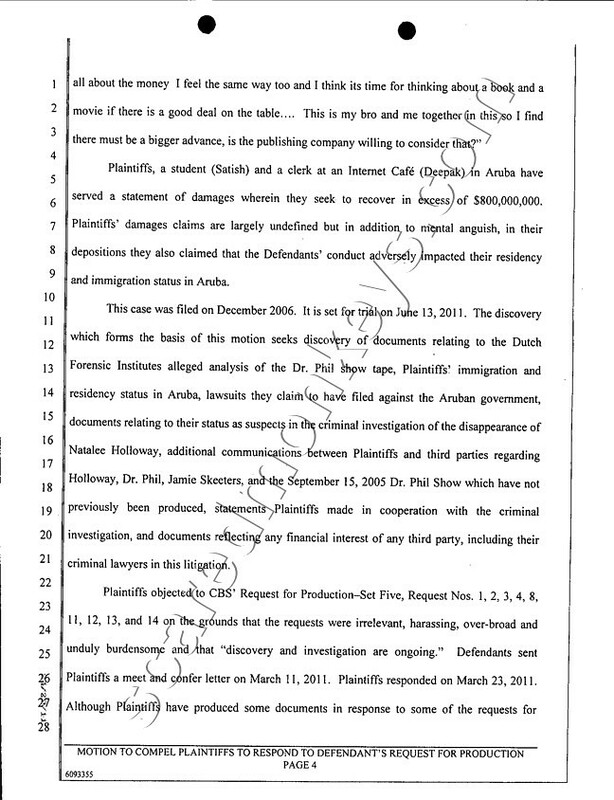 to defend their position that they have been defamed claiming client/attorney privilege. Thanks Kermit! I just got home myself and I'm glad you were able to take a look at them. Yeah, funny how they won't turn over this info. 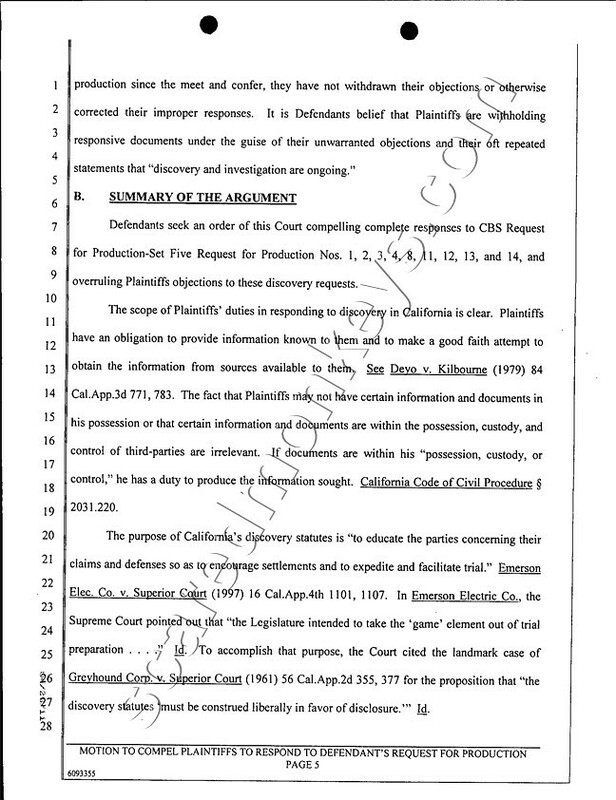 I read through them and the first one is interesting in that it explains the Kalpoes argument for the lawsuit, but when you read the statement it's very clear that the Kalpoes defense is attorney/client privilege and they won't turn over evidence claiming they'll wait until trail to show what they have. of them out having a good time. They also won't turn over the emails between DOMPIG, John CHARLES CROES, ARLENE ELLIS-SCHIPPERS and someone else, can't recall that name, have to go back and relook at it. In other words, look at the players in this. wouldn't want the spelling polis debbie to go on a rant right before Easter. Yes and very much appreciated Klassend. It's helpful to piece things together with information I have. Exactly Kermit. Especially when they were still under the hope that Dr. Phil would simply fold and settle with them for hundreds of thousands of dollars. They were "living it up". The whole purpose of having the Plaintiffs disclose their "damages" is so the Defendants can prepare a defense! 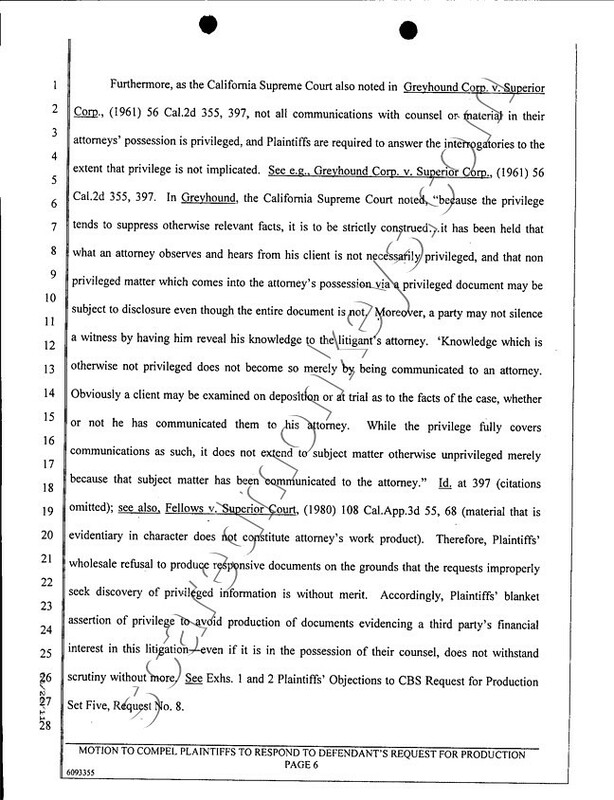 It is not "attorney priviliged" info!! This whole "motion to compel" is assinine -- all this should have already been deliverered to the judge BEFORE "Summary Judgement". in one interview cu mr. peter blanken fiscal parent at ministerio publico owing to puntre if have cualkier novedad in the caso of nathallee holloway. keto bay in prensa at merca is saliendo very much cos. is comenta on declaracionnan cu joran van der sloot owing to haci at peru in cel together cu other presonan. the la declara cu the la bury the curpa in one kelder, at aruba, y cu the will can indica at where the kelder provided that cuestion will is. according joran, the is bury at north. but according mr. blanken, this is more bien one history exagera of the periodistanan. in the declaracionnan of joran, not have nothing stop of thing prensa is write over of dje. ministerio publico did take notice of the declaracionnan here. according fiscal peter blanken they of ministerio publico is take all the cosnan here very at earnest. if they achieve more informacion, y in one meeting cu the team investigado, already was have talk over of one curpa bury in one kelder. y owing to base of esey, owing to bay open the cemetery, y not owing to come achieve curpa of natalee holloway, niun curpa miho tell. 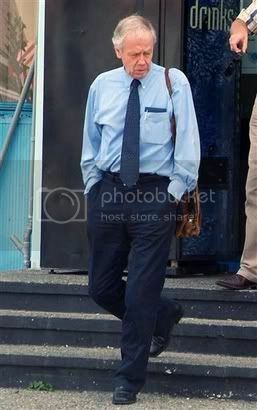 mr. peter blanken, is follow elabora cu owing to arrive at acuerdo cu if have more informacion over of the caso holloway, they will follow investiga, at the instant. but at the momentonan here, the informacion cu they owing to achieve of prensa, is so “onduidelijk” (unclear), cu they do not bay open investigacion of new. do not bale la pena. but if is so, cu if they achieve informacionnan concreto of joran, the hour ey they will follow cu investigacion. during interview cu peter blanken owing to puntre also without they have one form for arrive in contacto cu joran van der sloot on the ultimo declaracion. according the fiscal joran is come always cu various storia. now here not have claridad on thing is his various storianan. y always is stay ask about if have to take joran his storianan. cada trip have to bay see if the storianan or declaracionnan of joran is cuadra. aworaki is cuestion of keep when joran will wanted trece claridad on kico enberdad owing to sosode cu natalee. same is the caso of the ultimo noticianan. at instant cu have cierto claridad the storianan of joran the hour ey will can follow cu the investigacion. y esey is much fastioso. 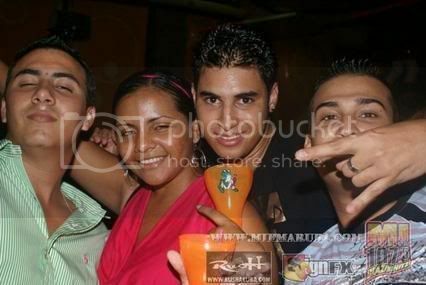 aworaki joran is close at peru, y not can trece aruba so not more. if arrive instant, cu can tell cu enberdad the joran is saying the berdad, the hour will take contacto joran, via the autoridadnan at peru. if this sosode, at where cu joran can is, as is at europa or another caminda, the will can indica via google earth, at where precisamente, the la hacie. 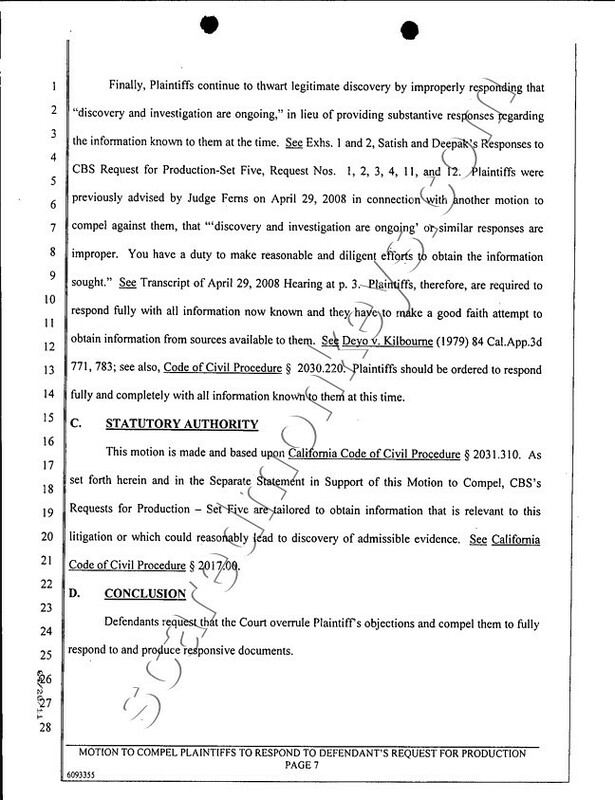 Giving the plaintiffs the benefit of the doubt ... it could be that the ongoing so-called Aruban investigation implied that Natalee Holloway case documents could not be released if requested by the defendants in the defamation lawsuit. 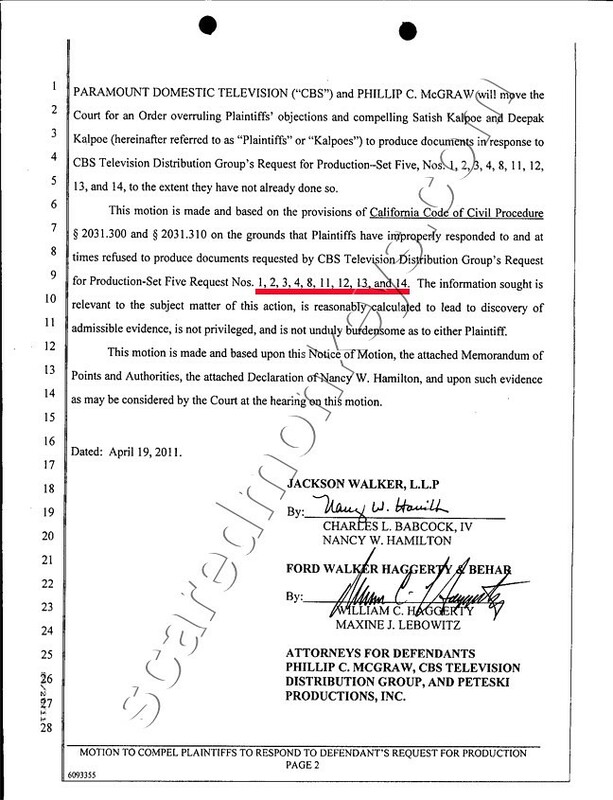 However ... considering the court was aware of the plaintiffs' position regarding this issue ... why was the lawsuit not dismissed four years ago by the court until such time that compliance was possible? JOHN KELLY, FAMILY'S ATTORNEY: I believe David Koch (ph), one of the attorneys for the Kalpoes actually signed a declaration at the court indicating that even if the court ordered the documents be turned over, they were not going to turn them over, which was sort of, for lack of a better word, arrogant on his part. The court did not necessarily like that. But I can't see them both using the courts as a sword and then a shield. They can't bring this action, they can't seek damages and not obey the orders of the court and expect their case to go forward. That's the whole point ------ the DEFENDANTS get the benefit of the doubt, NOT the Plaintiffs!! It's beyond ridiculous. Thank you, TM for the beautiful picture tribute to Natalee with her family! Aruba is NEVER going to close the Natalee Holloway case. If case documents are released ... the corrupt Aruban investigation will be revealed and ... the house of cards will collapse when those within the Aruban/Dutch administrations who participated in the established cover-up that prevented justice from prevaiing for an 18 year old American citizen will go down. GEORGE "JUG" TWITTY: I've tried every tactic. I think I've made every policeman, every person working on the case here, you know, mad. But you know, what I have to do as a stepfather to try to get Natalee back. Well, the way the system works down here, when the case is closed, we will have all that information, and we can release it to the world. Page created in 6.322 seconds with 20 queries.